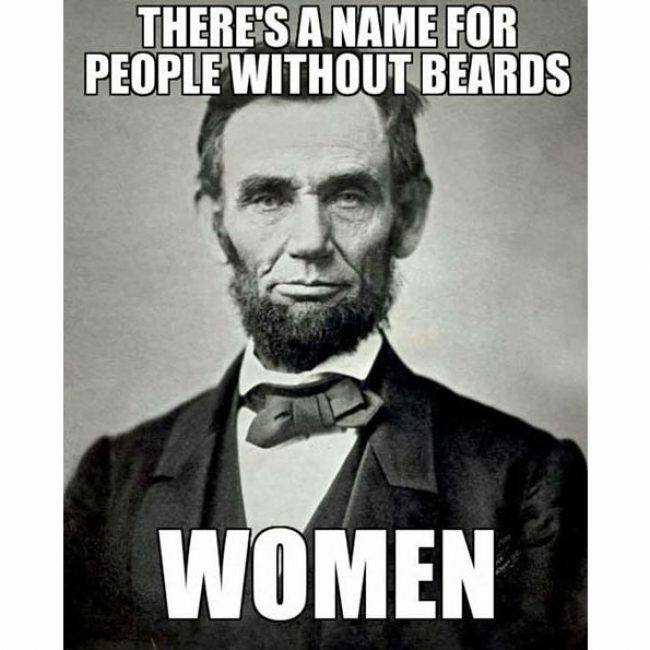 As Honest Abe would say, men without beards are women. Why do you think he grew one? Of course, there was a time he didn’t have one. He was seriously homely. the beard, well, it gave him something else to focus on, I guess. I still wonder why he didn’t grow a mustache with it. I suppose we’ll never know. Once you get done in the mirror wondering how one would look on you, follow us on Facebook and Friendslr and Twitter for new stuff nearly every day! Or, right here on Laughshop.com, or course. Shoot, we’re so old we even have a MySpace page!